Liposuction procedure was formulated in 1972 by two Italian-American surgeons-Doctors Giorgio and Arpad Fischer. However modern liposuction initiated with a presentation in 1982 by Dr. Yves-Gerard Illouz, a French surgeon. Liposuction is relatively “young” procedure in surgical terms but has evolved tremendously and is one of the most popular procedures in aesthetic plastic surgery. Liposuction/Lipectomy/Lipoplasty is used for removal of localized adipose deposits from the patients. This is opted by men as well as women with accumulated subcutaneous fat that often occur in predictable distributions. Liposuction patients are not suffering from generalized obesity; it’s just this fat removal leads to harmonious balance of a person’s physique and body contour. For instance, Allergan's BELKYRA (Deoxycholic Acid) receives marketing authorisation in Sweden for the treatment of moderate to severe fullness under the chin (Double Chin). BELKYRA is the only non-surgical injectable treatment for reduction of fullness under the chin that has undergone vigorous clinical evaluation, including four Phase 3 clinical studies involving more than 2,600 patients worldwide. However, swelling, bruises and anesthesia complications are associated with procedures performed by liposuction devices. Rising obese population, widespread awareness about liposuction, increased beauty consciousness and increased number of trained and qualified cosmetic surgeons/practitioners drive the liposuction devices market. Today fat is also used as the natural filler which is utilized by the Liposuction technique. Although liposuction techniques are on the horizon and available but “holy grail” for body sculpturing is going to be the new industry: noninvasive body contouring. The advent of other technologies like Cryolipolysis is also being employed to decrease small target adipose deposits. Coolsculpt (Zeltiq, Pleasanton, CA, USA) is delivering this technology. New EU rules impact the market of liposuction equipment due to the mandatory coordinated assessment of multinational clinical investigations and increased cooperation between member states in the field of vigilance and market surveillance. Social stigma and lack of proper reimbursement policies with the rare complication of intestinal or organ perforation from the cannula are also the challenges that hamper the liposuction devices market. The global medical aesthetic device market was USD 7.45 billion in 2016 and is anticipated to reach USD 15.01 billion by 2024, growing at the CAGR of 9.23% over the forecast period. 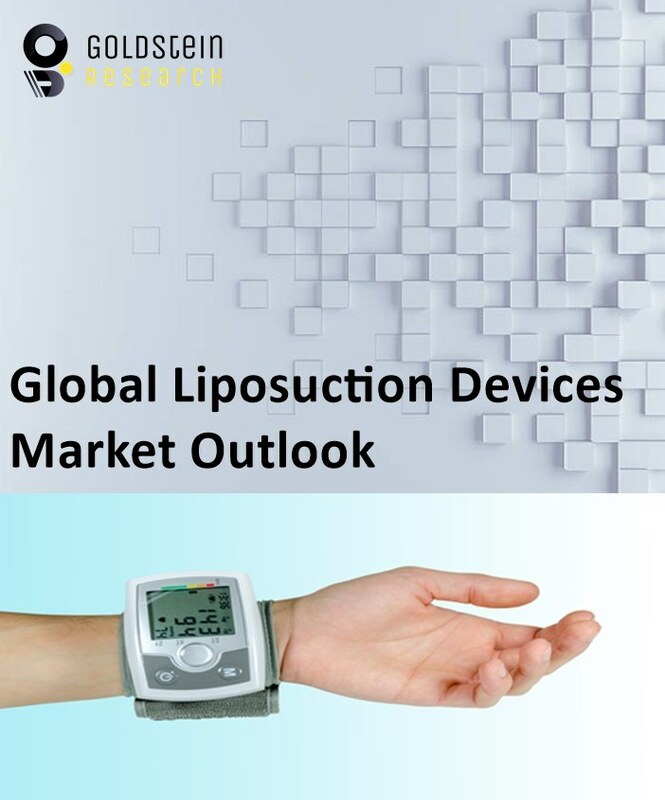 The global liposuction devices market is anticipated to grow at the CAGR of 9% over the forecast period. Laser assisted liposuction devices dominate the global liposuction devices market by acquiring almost 40% of total revenue share, owing to the benefits through the procedure by attaining smoother and tighter skin. Geographically, North America is the largest market with 50% market share of global liposuction devices due to huge awareness among the people regarding obesity and health related problems. France and UK are the leaders in liposuction devices market after North America.